It seems Mtn recently partnered with Opera Mini because many users have been browsing with their Operamini with N0.00. To also enjoy this, just click on this link to download the latest version of Opera Mini and enjoy free browsing on your Mtn sim card without any charges. The good part of it is that you can go ahead and power all other apps on both your PC and Android phone just with the use of simple server. 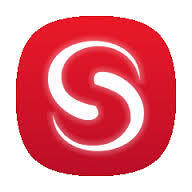 ==> Download and install Simple server for your Android device Here . ==> To power all apps you can use Auto Proxy. ==> For PC users, Download Simple server for PC from this link. ==> Just use your normal settings to connect. Sry have not been replying you guyzzzz..
Download tecno p5 full firmware from this LINK and flash it with sp flash tool. Make sure you tick everything including preloader.